So you’ve taken extra precaution to secure your vehicles with care in a closed garage. Now, it’s time to invest in a quality automatic garage door opener. Who wants to get in and out of the garage with difficulty, anyway? Whether you are building a new home garage or just replacing the one you’ve had for years, there are lots of options available in the market today that will suit your needs. If you are ready to purchase a new garage door opener, you have to consider many different factors. One is the size of your door and how often you use it; you also need to consider if there is a bedroom or a living room near the garage; another thing is if you want to control and monitor the garage remotely; and lastly, is if you want access to the garage if the power goes out. Here are the features you should look for a garage door opener. 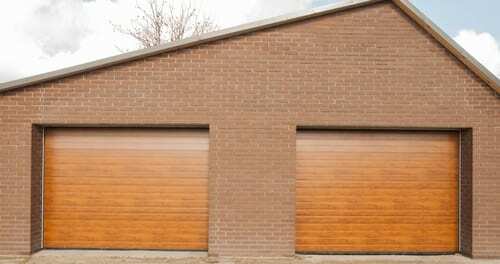 Nobody likes a noisy garage door, especially if you are very sensitive to sound and have a living space or bedroom adjacent to your garage. A belt-driven or direct-driven model is your best choice. Look for a dual-frequency garage door opener which automatically switches between two frequencies to reduce interference. Don’t let burglars guess at your opener’s code. This technology selects a new, nonrepeating access code from billions of possibilities every time you use the remote control. This feature will allow you to keep using your garage door opener during power outages, but it’s a rare feature that only higher-end models have. Lights are standard equipment on all the garage door openers. Look for ones you can control independently of the door’s opening or closing. Nowadays, you can check the status of your garage door whether it is open or closed and be able to open or close it remotely, thanks to internet connectivity.